Looking for new books? Look no further! 2017 was a fantastic year for books, but there’s still so much more we want to share before we enter the New Year! This month, our team of editors review two new books from China and Japan—each of them special in their own way. Dive in! Released years after the publication of the original, translations benefit from historical hindsight. 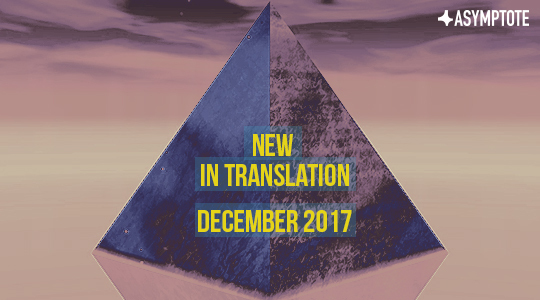 Although the two novellas contained within The Years, Months, Days (Grove Atlantic, December 2017) are the latest of Yan Lianke’s works to be translated into English, they were originally published in 1997 (The Years, Months, Days) and 2001 (Marrow, originally titled Balou Mountain Songs 耙耧天歌), just before the string of novels upon which Yan’s reputation now rests: Hard Like Water (2001), Lenin’s Kisses (2004), Dream of Ding Village (2005) and Four Books (2011). Read in retrospect, these novellas represent a critical point in the evolution of Yan’s aesthetic. In both, we can see Yan learning how to best use his preferred technique of primordial allegory, painted with a broad Fauvist brush. Carlos Rojas tends to smooth out and harmonize Yan’s expressive phrasing, but the credit (or blame) for the rough symbolist feel of a metaphor like time that “rushes past their interlocked gazes like a herd of horses” should all go to Yan. In his introduction, Rojas traces Yan’s style and themes to his origins in Henan, both the birthplace of Han Chinese civilization and one of the most impoverished of China’s provinces. Henan is undoubtedly the wellspring for Yan’s primitivism, but at the same time, Yan seeks to speak to something more universal—the animal savagery and instinctive sympathies at the heart of all social relationships, and what happens when human beings are reduced to bare life. At its best, Yan’s technique creates gripping moral parables like The Years, Months, Days, which tells the story of an old man left alone with his dog to fend for himself when the rest of the village flees famine. The mythic isolation of the old man amplifies the drama of survival and the naked horror of starvation. But Yan’s technique also has its pitfalls, as unfortunately demonstrated by Marrow, the second novella in this volume. There are no places in China, even in Henan, that are quite as isolated from modernity as the Balou Mountains, Yan’s Yoknapatawpha County. To point this fact out is not to say that Yan is somehow smearing China simply by depicting it negatively; only those suffering from that degenerative brain disease known as nationalism could have such a Pollyanna-ish view of literature. 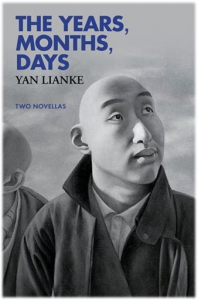 It is instead to suggest that Yan’s critiques of Chinese society are most powerful when he connects the ills of Balou to the tyranny of the Chinese state and the degradations of global capitalism, as he does in Dream of Ding Village and Lenin’s Kisses. Otherwise, the reader can sit comfortably in their apartment in Shanghai—or worse, in their apartment in NYC or Berlin—and shake their head and cluck their tongue at the backwardness of Balou, secure in the knowledge that these are calamities that happen to other people, and that they are certainly not implicated. Marrow is about a mother who, with the assistance of the ghost of her dead husband, makes the ultimate sacrifice to cure her children’s congenital mental illness. Its themes of Chinese rural backwardness, incestuousness, and the deadly logic of filiality date all the way back to Lu Xun, and the magical realism is derivative of Han Shaogong. Fourth Wife You’s trial seems disconnected from the rest of China or the world; when individual suffering is depicted with so little context, it feels exploitative, even pornographic. Luckily, with the benefit of hindsight, we know that Yan would go on to complicate that voyeurism brilliantly in Lenin’s Kisses and develop a more profound critique of Chinese society in Dream of Ding Village and Four Books. Since Marrow, Yan has developed into one of the most important prophetic voices in contemporary Chinese literature. Given that, we can enjoy what works in these novellas, and everything that doesn’t just becomes exotic features preserved in the fossil record. We can view them with detached curiosity, as part of the story of how Yan became the author he is today. Dandelions, Yasunari Kawabata’s last novel, was originally published in installments between 1964 and 1968 in the Japanese literary magazine Shincho. In 1968, however, Kawabata won the Nobel Prize for his most famous work, Snow Country, and the ensuing travel meant that he never completed Dandelions. The book remained unfinished when the author died in 1972. New Directions has now released the book in English for the first time, translated by Michael Emmerich. In spite of its incomplete state, the novel’s story arc reads with purpose and feels just as thematically meaningful as Kawabata’s other novels. Dandelions serves as a posthumous testament to Kawabata’s belief, present throughout all his books, in the never-ending flow of life. The novel begins in Ikuta, a rural town where the young woman Ineko has been committed to the local asylum. Ineko suffers from periodic episodes of bodily blindness, during which she cannot see the bodies of other people. Her ensuring hysteria during these episodes causes her mother to fear for the safety of those near her. Kuno, Ineko’s lover, wants to be with Ineko in spite of her condition, but Ineko’s mother fears that Kuno will regret his decision. Intertwined feelings of guilt and love pervade the book. Dandelions takes place over the course of a day, mostly in the form of conversations between Kuno and Ineko’s mother, with regular flashbacks to a happier past. Kuno and Ineko’s mother struggle to determine whether or not Ineko’s blindness constitutes true madness, and both struggle with the feeling that they are the cause of Ineko’s current situation. The sudden death of Ineko’s father in a horseback riding accident precluded Ineko’s internment in the asylum. Ineko’s mother wonders if her own actions led indirectly to the tragedy. The novel follows no real structure other than a continuous stream of consciousness in which characters slowly share with readers muted internal torment. 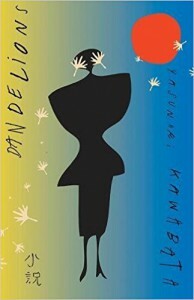 Free of temporal or political outside elements, Dandelions gives readers a dreamy excursion into Kawabata’s mind. The book is rich, too, with symbolism that unfortunately escapes readers who do not have a deep familiarity with Japanese literature. The asylum’s name, Ikuta, is a likely homage to Ikutama, a place referenced in Japanese Noh plays as a meeting place for lovers who often committed suicide. For readers who are curious to know more about traditional Japanese literature, Dandelions provides a worthy starting point, in a beautifully spare and slim volume perfect for one afternoon of reading. The Asymptote Book Club Is Here!